A new global conference and community platform in Jamaica will encourage relationships between tech entrepreneurs, investors, and executives, and serve as a true business catalyst offering a more immersive experience for participants. Tech Beach Retreat is designed to connect the Caribbean’s tech ecosystem with the rest of the world, creating an international community of like-minded individuals who meet in the region. 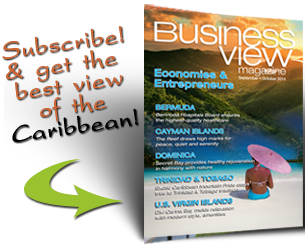 The inaugural event from December 1- 3, in Montego Bay, Jamaica, will offer something a little different – an all-inclusive experience, a single destination where speakers, participants, and media meet free of hierarchy. The conference will take advantage of Jamaica’s popular all-inclusive resort infrastructure, where guests pay a single fee and never have to worry about food and beverage. With guests staying in a campus-style environment at the same resort, it will be easier for people to meet, exchange ideas, and build meaningful, long-term relationships. “I learned a long time ago that networking is not about how many people you can meet at an event, it’s about access. You can walk away with 100 business cards from people who won’t remember you or answer your emails, or you can make ten meaningful connections with people who see your vision and want you to be successful,” Tech Beach founder, Kirk-Anthony Hamilton said. Hamilton partnered with Phin Mpofu, a fellow member of the Global Shapers Community, an initiative of the World Economic Forum, to create Tech Beach. Mpofu is a UK-based tech entrepreneur who was recently recognized as one of 100 entrepreneurs to watch on the 2016 Maserati 100 list. He is also director at Startup Grind, the largest tech entrepreneur community in the world, with over 400,000 members. Hamilton and Mpofu recruited Kyle Maloney from Trinidad and Tobago, one of the Caribbean’s most promising tech entrepreneurs in the big data space. All three gentlemen are minorities and are passionate about diversity in the tech space, with the mission of making Tech Beach Retreat the most diverse tech gathering in the world across race, geographic location and gender. This is reflected in the growing roster of speakers who have signed on to participle in the conference. Tech Beach Retreat will focus on “Exponential Growth and Impact: Designing your business to manage the challenges and take advantage of the opportunities of tomorrow and beyond.” The program breaks this down into more specific pillars like big data and security, artificial intelligence, the shared economy, and digital currency. Tech Beach Retreat will also feature amazing entertainment, as one would expect in Jamaica. “We want to bring a global ecosystem of resources to the Caribbean, so we are welcoming participants from all over the world to join us, for a one-of-a-kind experience and access to a unique international community of like-minded individuals,” Hamilton said.